Diess is a former executive at Audi's luxury rival BMW. BERLIN -- Volkswagen Group's new CEO, Herbert Diess, will likely take the reins of Audi's supervisory board next month, sources at the company said. 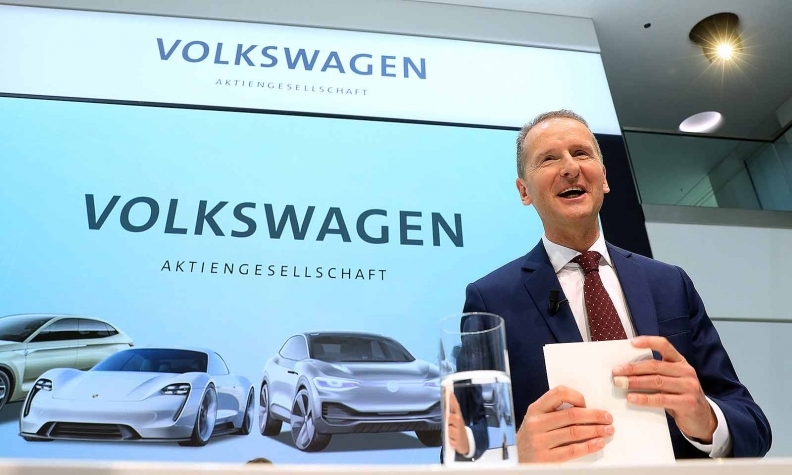 Diess, who has been head of the core Volkswagen brand since 2015, replaced Matthias Mueller as CEO of VW Group on Thursday after key VW stakeholders decided that sweeping changes at the multi-brand conglomerate should be spearheaded by a new CEO. Diess, a former executive at Audi's luxury rival BMW, is expected to replace Mueller as chair of Audi's 20-strong supervisory board at a meeting on May 8, one day before the brand's annual general meeting, the sources said. "The supervisory board will take a decision on the chair at its next meeting," a spokesman for Audi said, without elaborating. VW didn't return calls seeking comment. Diess wants to become chairman of Audi, without citing the source of the information, German magazine Automobilwoche, a sister publication of Automotive News Europe reported on Saturday. VW CEO's sights set squarely on U.S.